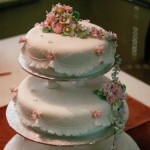 The cake I am featuring today was inspired by one of my most memorable wedding cakes from last year. After an unplanned transportation set-back, which was sadly out of my control, I packed up my car and set off on a long distance delivery. 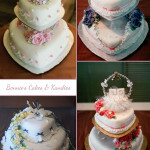 Determined not to leave my bride and groom without a cake on their wedding day, I carefully transported the cake from Gympie to Townsville. 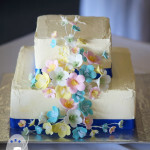 A very kind friend of the beautiful bride then took custody, and delivered her friend’s wedding cake the rest of the way from Townsville out to Hughenden. 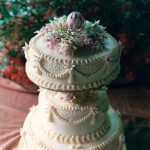 Both tiers of the cake were square in shape, with the top tier placed on an angle, or off-set from the bottom tier. 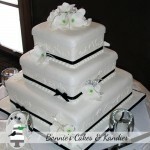 Square cakes are actually one of my favourite shapes to work with, so I have enjoyed their rise in popularity with my brides and grooms over the past year. 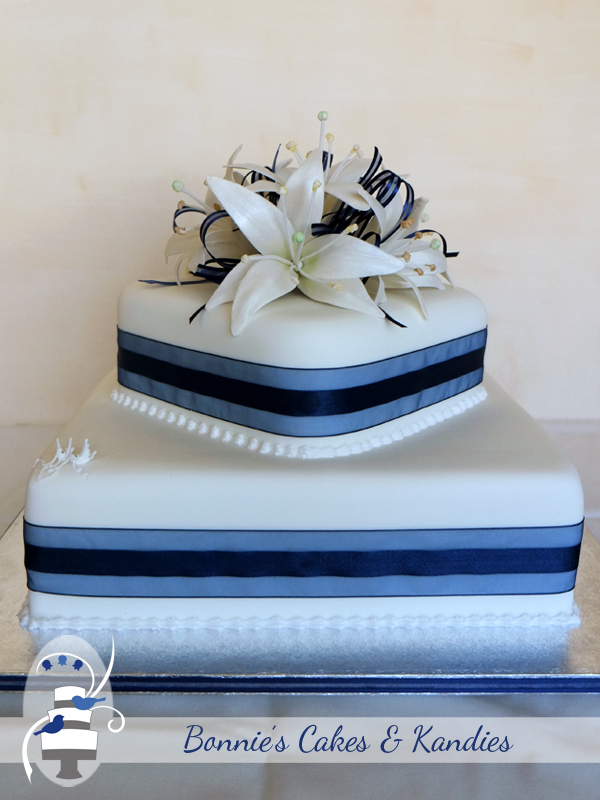 Decorations for today’s cake included beautiful navy blue ribbon around the centre of each tier, as well as around the edge of the silver papered baseboard. 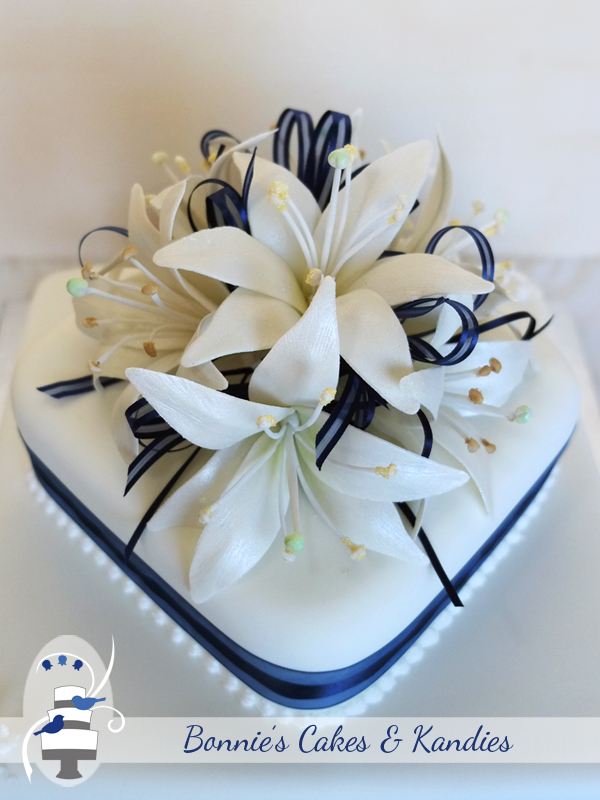 For the top of the cake, I made icing flowers to match the bride’s bouquet – white St Joseph’s lilies with a very pale green throat. The posy was finished off with a few loops of navy blue ribbon, again to match the bouquet. Like the couple whose cake inspired this one, today’s bride and groom have a few tales to tell about the lead up to their wedding day. I have no doubt, though, that their marriage will be long, happy, and filled with lots of laughter and love – which is really the most important thing!